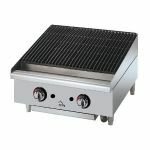 Whether you own or manage a restaurant, convenience store, concession stand, Star Manufacturing equipment will keep you and your customers happy. 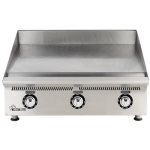 With countertop cooking equipment like griddles, charbroilers, and ranges, as well as concession equipment such as heated displays and hot dog roller grills, you can easily outfit multiple areas of your foodservice operation. Starting out in 1921 as a commercial popcorn popper manufacturer, Star has taken their knowledge and experience and expanded their lines to meet the increasing demands of the foodservice industry. 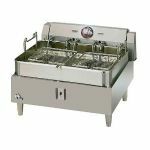 Every piece of Star equipment is manufactured to be durable enough to withstand the rigors of constant use in a busy commercial kitchen or concession stand. 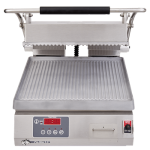 From panini grills and conveyor toasters to countertop fryers, Star Manufacturing has the equipment you need to be the best in town.